Old City of Jerusalem Campus Dedications available. The first Chabad Center in Broward County, Chabad of South Broward Headquarters, founded in 1980, has created the Florida Jerusalem Campus in Hallandale Beach. The Campus is comprised of two buildings. 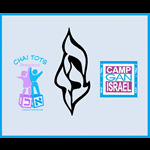 Chabad of South Broward is Headquarters includes a Preschool, Hebrew School, Teacher's Seminary, 3 Mikvahs for the physically challenged, Camp Gan Israel, The Friendship Circle for children with special needs, a Kollel for Businessmen & professionals, Project PRIDE, a druge prevention and education program, and the Mian Synagogue of Chabad of South Broward. 14 Chabad Centers in SOuth Florida are under the auspices of Chabad of South Broward.